Learn the relationship between perimeter and area. A shape will be automatically generated with the area that you choose. Calculate the perimeter of this shape. 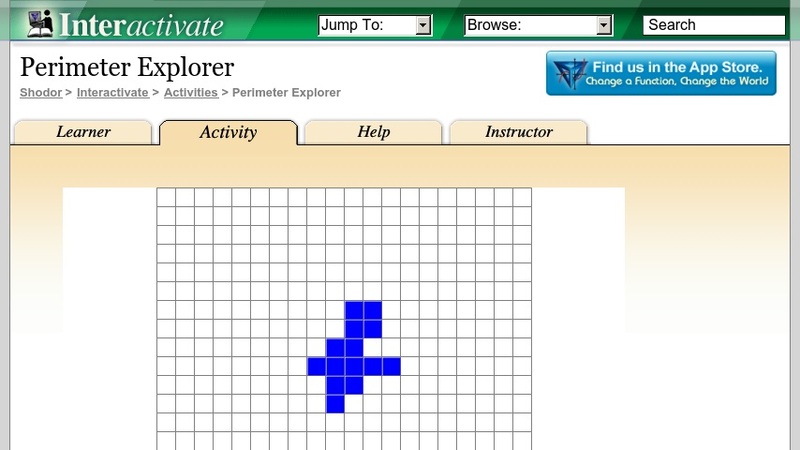 Perimeter Explorer is one of the Interactivate assessment explorers.